I have been wanting to write about HAARP for many years. What held me back? It was fear of being called “Conspiratorial” until now. My readers know me as a writer of truth. I stay clear of topics which cannot be vetted. I’ve been reading about HAARP for years, but the globalists snicker and mock at anyone who dares to tread on their turf. The only websites I would find on HAARP – although very thorough in the research, was still speculation without a solid foundation. For every website attempting to uncover the truth about HAARP, there would be ten more insisting that it was simply an instrument used for studying the ionosphere. Sounds pretty innocuous, right? The reader will see that this monstrosity known as HAARP is anything but safe. And I will show proof that the concerns about HAARP through the years have not just come from conspiratorial minds. I will also show the reader that HAARP is being used to create not just changes in our climate, but now there are concerns from scientists that the earth’s magnetic field is shifting, and once again we see that this is a result from the harmful effects of HAARP. HAARP is blowing holes in our ionosphere. Guess what occurs when the ionosphere has holes? CLIMATE CHANGE. European citizens are becoming increasingly concerned about the High Frequency Active Auroral Research Program (HAARP), in principle a military defence programme run jointly by the US Air Force and Navy, in conjunction with the Geophysical Institute of the University of Alaska. Parliament’s Subcommittee on Security and Disarmament held a hearing on HAARP and other ‘non-lethal weapons’ in Brussels on 5 February 1998. In Parliament’s report of 14 January 1999 on the environment, security and foreign policy it was characterised as a weapons system which disrupts the climate. Considerable concerns were raised as to its legality under international law, its far-reaching impact on the environment and its ecological and ethical implications, which should be examined by an international independent body before any further research and testing. 1. Is HAARP considered a ‘weapon’? What is its purpose, where has it been installed and what are its powers? 2. Does the Commission intend to take any measures in this regard to respond to the fears of citizens (impact on the environment, weather, health, etc.)? It is clear that our government is not only keeping the facts regarding the true nature of HAARP from the American people; but REFUSED to attend a meeting of the EU Parliament in 1998 to answer their questions and concerns about HAARP. Never seen before: Square clouds……..a natural phenomenon? Or perhaps a telltale sign of HAARP at work……. We have been hearing warnings that if we don’t get “Global Warming” under control by 2030, there will be catastrophic results for our planet. We were warned by a freshman member of Congress. We are being warned by the fake news media outlets. Why are they using a specific year? I believe that they are giving a specific year as a way to intimidate the public. They know that HAARP is causing “Climate Change” and they also know that it is HAARP which is causing the shift/flip in the earth’s magnetic field. 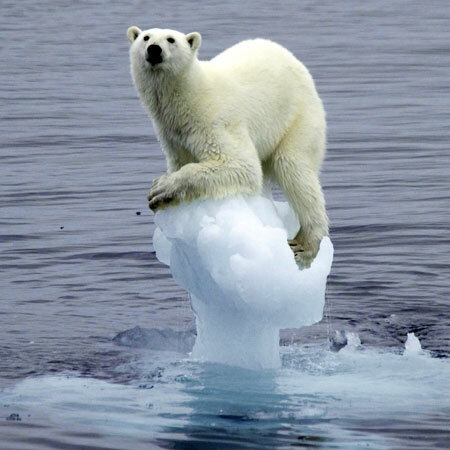 When the Global Warming (Climate Change) people are demanding that all nations must adopt the U.N. 2030 resolution on regulations for every nation; and claim that the Climate Change is “manmade” – ironically, this is now truth. But it’s not companies or fossil fuel emissions or automobile emissions causing the changes. IT IS HAARP and the scientists who oversee it. Well planned, wouldn’t you say? Deceptive and immoral, but that is how they operate. HAARP (High Frequency Active Auroral Research Project) is run jointly by the US Air Force and Navy, in conjunction with the Geophysical Institute of the University of Alaska, Fairbanks. Similar experiments are also being conducted in Norway, probably in the Antarctic, as well as in the former Soviet Union. (22) HAARP is a research project using a ground based apparatus, an array of antennae each powered by its own transmitter, to heat up portions of ionosphere with powerful radio beams. (23) The energy generated heats up parts of the ionosphere; this results in holes in the ionosphere and produces artificial ‘lenses’. (emphasis added). 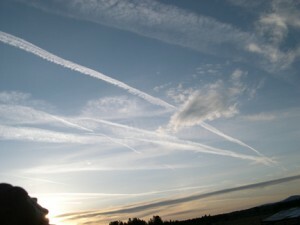 A series of international treaties and conventions (the Convention on the prohibition of military or any other hostile use of environmental modification techniques, the Antarctic Treaty, the Treaty on principles governing the activities of states in the exploration and use of outer space including the moon and other celestial bodies, and the UN Convention on the Law of the Sea) casts considerable doubt on HAARP on legal as well as humanitarian and political grounds. The Antarctic Treaty lays down that the Antarctic may be used exclusively for peaceful purposes. (25) This would mean that HAARP is a breach of international law. All the implications of the new weapons systems should be examined by independent international bodies. Further international agreements should be sought to protect the environment from unnecessary destruction in war. Not only military weapons systems but, by and large, all military activities, including peace-time exercises, have some form of environmental impact. However, when environmental destruction has been discussed, the role of the military has not in general been touched upon, only the impact of civilian society on the environment has been criticised. There are at least two explanations for this. (26) Owing to its secrecy, military activity is more difficult to discuss and it is difficult to set the nation’s top priority – its security and defence – against the environment. At the present time, however, when environmental and natural disasters constitute a serious threat to security, these arguments are more dubious. The armed forces endeavour to prepare themselves in peace time for operations in war in as realistic conditions as possible. They therefore carry out their exercises under warlike conditions, which involves subjecting the environment to great stress. This is illustrated, for instance, by the withdrawal of Soviet troops and the abandoned military bases in Eastern and Central Europe which have left deep scars on the local environment. Military exercises entail widespread damage to the landscape and animal life. Troop exercises subject large tracts of land to extensive environmental destruction. Test sites for artillery and tactical missiles tend to require larger surfaces for military purposes. Likewise, production of munitions and the industry that manufactures military equipment cause widespread environmental problems. The military is responsible for emissions of several gases affecting the climate, primarily carbon dioxide, but also incineration of fossil fuels and emissions of freons, which results in the depletion of the ozone layer. (27) Consumption of aviation fuel is a major source of emissions of acidifying substances such as nitrogen oxides and sulphur oxide. The armed forces account for much of all consumption of aviation fuel and are responsible for a very large proportion of all aviation emissions. (28) High-flying planes and rockets have a particularly damaging impact on the environment, both in the form of noise and fuel emissions. All rockets using solid fuel emit large quantities of hydrochloric acid in their exhaust emissions and every flight of a space shuttle injects around 75 tonnes of ozone-destroying chlorine. Likewise, noise from military exercises using heavy calibre ammunition may bring about environmental disruption. Metal pollution is dispersed into the environment through shooting practice; often large quantities of small calibre ammunition containing lead is used and large quantities of lead are dispersed into the environment. Unfortunately, there is no comprehensive information about consumption of metals. Consequences in the form of environmental problems caused by disarmament is only a recently observed phenomenon. Every year, large quantities of explosive substances are destroyed, mostly through industrial processes. Some ammunition cannot be destroyed in this way for various reasons but must be detonated. Obviously, scaling down is a necessary and positive process but it must be carried out in environmentally acceptable ways. Environmentally sound technology must be developed for the purpose of destroying weapons. Several nations have already begun to exploit the opportunities for using military-related resources to restore the environment destroyed by the armed forces. All other sectors in society have to take responsibility for the environment and the military sector should also do so. As in other sectors of society, environmental issues must form an integral part of the armed forces’ activities and be incorporated in the decision-making and budgetary processes. In May 1993, the United Nations Environment Programme (UNEP) took a decision – ‘application of environmental norms to military establishments’ – to encourage national governments to enact national laws for the military sector. Finland, for example, has drawn up a green paper to regulate the impact of military activities on the environment. Sweden has followed suit. (29) In June 1996 Sweden, in conjunction with the USA, also drew up environmental guidelines for military activities. (30) The military should establish environmental targets and proposals for measures to help reduce the impact on the environment in accordance with Agenda 21 and the Rio Declaration. (31) They should also submit reports identifying factors affecting the environment within the armed forces. Environmental impact assessments must be drawn up before new projects commence and when procuring material for civilian and military use. Every government should take stock of its environmental requirements and identify the military resources which are available for environmental purposes, draw up national environment plans and report their experience to an appropriate body within the European Union and the United Nations. All military personnel, including conscripts, should receive basic training in environmental matters. The US armed forces are considered to be quite advanced in this respect, particularly in terms of equipment, but also in regard to training. The European Union should cooperate and exchange experience in this sector with the USA to a greater extent. Prevention of environmental crises requires infrastructure, organisation and increased resources. These are available in the armed forces. Many resources within the military sector could be used to protect, improve and restore the environment. Essentially, this would be based on two stages: a stocktaking stage to assess the suitability of the military resources and a political action plan to guarantee their availability. Obviously, military-related resources vary a great deal from one country to another but they comprise skilled personnel, engineers, sophisticated hi-tech equipment, organisational ability and military research and development. In many ways, the military sector is in a unique position to strengthen international civilian capacity to implement environmental strategies. Military personnel are wellequipped to intervene in the event of disasters. As distinct from civilian forces, the military are trained to carry out missions under extreme conditions. They can also be called out in the event of environmental accidents and to clear up and destroy high-grade toxic, radioactive and other hazardous substances. The armed forces also possess a great quantity of information which can help in detecting changes in the atmosphere, the sea and in the earth’s surface and thereby provide an early warning and forestall environmental disasters. Military satellites, aeroplanes, surface vessels and submarines are capable of collecting further information on climate changes and on currents and temperature changes in the sea. Radar, which was developed for military purposes, can be used for environmental objectives. Infrared radar can detect temperature changes in the earth’s surface. For example, American military satellites have been used to establish the number of whales, classify them and save them. Environmental problems are global in nature and international cooperation is therefore crucial to prevent future environmental disasters. Joint international work can also serve a ‘dual’ purpose; it can build confidence for the very reason that it is carried out jointly – countries assist each other. It can also enable countries to shoulder a reasonable amount of responsibility for the environment in proportion to their strength. (32) Some important areas for joint undertakings might be technology transfer, joint training and education. Environmental strategies might comprise monitoring the earth’s environment, evaluating the data collected, coordinating scientific work and disseminating information. As a special form of international aid, national resources should be made available to the EU and the UN so that they may be used on request by a country stricken by an environmental disaster. Environmental strategies must also include a global stocktaking of resources suitable for environmental protection. A disaster force composed of both civilian and military personnel could be set up for deployment in emergency situations. Taking part in international peace-keeping and humanitarian missions is already an important task for the military. However, a distinction must be made between such missions within national boundaries and within another state’s jurisdiction. Lessons can be learned from UN experiences in this respect and, clearly, exercises or deployment on the territory of another nation must take place in accordance with international laws. We should consider which resources can be made available to the UN or the European Union, temporarily, long-term or on a standby basis as instruments for joint cooperation in the event of environmental disasters and environmental crises. Military bilateral and multilateral cooperation has increased tremendously. Within NATO, a DanishGerman-Polish force is being developed which it will also be possible to use for civilian disaster aid, in addition to having traditional tasks. It is expected to be operational by spring 1999. The military sectors of the EU Member States tend to be research and development-intensive. In the case of the major military powers, technological capacity is not only extensive but has also largely remained unaffected by budget cutbacks in comparison with conventional weapons. The process of developing new sophisticated weapons is ongoing. The military sector will probably be a leading consumer of advanced technology in the immediate future. Most modern technologies are double-edged, i.e. they can be used both for military and civilian purposes. This means that military-related technologies can be transferred to the civilian sector without expensive modifications. However, it must be borne in mind that the highly complicated military systems which are based on advanced technologies are not designed for environmental purposes but require certain adjustments. The technological capacity of military organisations in most developing countries is not a match for the environmental problems they face. The CIS and African countries have tremendous shortages of technology and environmental know-how. In an international perspective, therefore, transfer of technology and know-how is an extremely important task for the military. Collection of environmental data and observations can be facilitated by the use of vessels, aeroplanes and spacecraft to identify and trace environmental abuse such as the dumping of waste and oil or natural hazards such as forest fires. Another possible application of military-related resources is to use military capacity to monitor activities which are potentially damaging to the environment. Military resources can also be used to monitor agriculture, drought, afforestation and other forms of land conservation. Other areas of application might be as aid in developing countries, e.g. in the form of transport and disaster work, liming of lakes and forest with the aid of military aircraft and vessels but also combating of oil discharges and research and development resources for global environment work. It is entirely possible during compulsory military training to train soldiers in environmental protection and it is also necessary in order to have the resources and capacity to deal with environmental problems. Introducing military training in environment duty makes use of society’s existing resources and creates a new resource for international environment work. Training of ‘environment soldiers’ can take place in cooperation with the various authorities responsible for overall defence, local authorities, county councils, universities and colleges but also environmental organisations, industry (e.g. the petro-chemical industry, the power industry, the mining industry and other processing industry) and international bodies. Conscripts on environmental service should primarily be trained to deal with the greater environmental threat existing in war but also be used as a rescue and relief force in peace time and war. Under the proposal, the training would, in its final phase, comprise six companies per environmental brigade in two batches, i.e. a total of 12 companies per brigade per year. Training would be led by an instructor, an officer in charge of reconnaisance and information and a commandant. Under the overall command, there would be six environmental companies comprising a company commander, an environmental engineer, company engineers, an adjutant and 12 instructors. The environmental engineer would also be in close contact with the emergency and rescue services and with researchers. As backup, they would have a unit for finance, personnel, a material division, catering and conscripts on environment and defence duty. At the initial stage, the group commanders are given training in leadership and some basic training in environmental protection work. In the introductory phase of training, soldiers should be given basic training in soldiering and environmental protection with the emphasis on military training and physical fitness. This is followed by environmental training and training in the use of equipment relating to the soldiers’ respective duties. The final phase of training will be used for predetermined environmental projects. During basic training, environment conscripts may also be used in serious environmental disasters – apart from the planned environmental projects – to assist in the event of forest fires, snowstorms, landslides etc. Had environmental brigades been operating, they could have intervened swiftly and effectively during the floods in Poland, the Czech Republic and Germany in 1997 and during the dam disaster in Spain and the landslides in Italy in 1998. Following basic training in peace time and under war conditions, and for five years afterwards, trainees should be called up for 24 to 48 hours in the event of environmental disasters or any other emergency situation. This could be mandatory or on a voluntary basis. The HAARP facility in Gakona Alaska was closed down in 2014. But was brought online a year later. *** I would strongly encourage the reader to print out this article. As you will see, many links, quotes and articles have already been scrubbed from our Internet. The HAARP website acknowledges that experiments are conducted which use electromagnetic frequencies to fire pulsed, directed energy beams in order to “temporarily excite a limited area of the ionosphere.” Some scientists state that purposefully disturbing this sensitive layer could have major and even disastrous consequences. Concerned HAARP researchers like Dr. Michel Chossudovsky of the University of Ottawa and Alaska’s Dr. Nick Begich (son of a US Congressman) present evidence suggesting that these disturbances can even cause tsunamis and earthquakes. ****to the reader: if you click on the link to Dr. Chossudovsky, you will see that what he had to say has been scrubbed from the Internet. But the Begich link is partially operational. To view the European Union (EU) document which brings HAARP and similar electromagnetic weapons into question, click here. **** this has also been scrubbed. For an even more detailed and revealing 45-minute History Channel documentary on HAARP and other secret weapons used for electromagnetic warfare, click here. Below are two quotes from the History Channel documentary: *** this also has been scrubbed. Are you seeing a pattern here? Having interpreted to four top generals in my work as a language interpreter with the US Department of State, I learned that military planners are always interested in developing the most devastating weapons possible. Yet these weapons are kept secret as long as possible, allegedly for reasons of national security. The many layers of intense secrecy both in the military and government result in very few people being aware of the gruesome capabilities for death and destruction that have been developed over the years. There are many examples of major defense projects kept successfully out of the public’s eyes for years and even decades. “On 5 February 1998 Parliament’s Subcommittee on Security and Disarmament held a hearing the subject of which included HAARP. “HAARP (High Frequency Active Auroral Research Project) is run jointly by the US Air Force and Navy, in conjunction with the Geophysical Institute of the University of Alaska, Fairbanks. Similar experiments are also being conducted in Norway, probably in the Antarctic, as well as in the former Soviet Union. HAARP is a research project using a ground based apparatus, an array of antennae each powered by its own transmitter, to heat up portions of ionosphere with powerful radio beams. The energy generated heats up parts of the ionosphere; this results in holes in the ionosphere and produces artificial ‘lenses’. “HAARP can be used for many purposes. Enormous quantities of energy can be controlled by manipulating the electrical characteristics of the atmosphere. HAARP can deliver millions of times more energy to a given area than any other conventional transmitter. “The project would also allow better communications with submarines and manipulation of global weather patterns, but it is also possible to do the reverse, to disrupt communications. “Another application is earth-penetrating, tomography, x-raying the earth several kilometres deep, to detect oil and gas fields, or underground military facilities. Over-the-horizon radar is another application, looking round the curvature of the earth for in-coming objects. “HAARP could result in changes in weather patterns. It could also influence whole ecosystems, especially in the sensitive Antarctic regions. “The environmental impact and the ethical aspect must be closely examined before any further research and testing takes place. HAARP is a project of which the public is almost completely unaware, and this needs to be remedied. 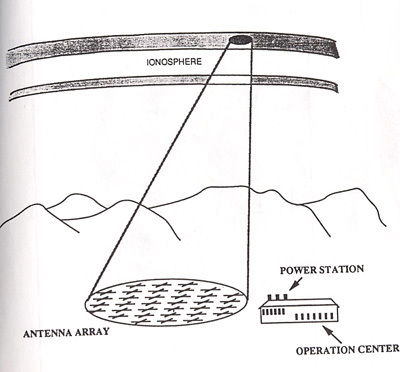 The ionosphere like a lens redirects HAARP’s enormous amounts of energy and when pointed back down to penetrate the earth effects the rock-bed, which given a short amount of time (at maximum no more than a few days) has proven in laboratory experiments to build up vibrations and cause rocks to shift. Rock-beds shifting or sliding in the earth causes earthquakes. People seriously concerned about ionosphere, atmosphere, and climate change should look more deeply into HAARP’s other applications. As EU representative Mr Spencer pointed out there are old treaties on such weapons. In the European Parliament’s motion for a resolution document it mentions the following, “A series of international treaties and conventions (the Convention on the prohibition of military or any other hostile use of environmental modification techniques, the Antarctic Treaty […] the UN Convention on the Law of the Sea) […] The Antarctic Treaty lays down that the Antarctic may be used exclusively for peaceful purposes.” Although government treaties are signed and published on weather modification the general public are in the dark on these issues. These treaties do not prohibit the use of environmental weapons in any regions a military has jurisdiction over or for uses that can go under the spectrum called peaceful purposes (which can also mean ‘tests’). Seemingly unrelated treaties that give other governments airspace jurisdiction in new regions, such as the UN’s Open Skies treaty, can allow military tests to take place legally. Some tests are made public while tests of national security are confidential. The U.S. military has and does work with other nation’s militaries and the HAARP electromagnetic facility in Alaska can be used in conjunction with other militaries’ electromagnetic facilities. http://www.carnegieendowment.org/stat … onmental_modification.pdf **** the pdf has been scrubbed from the Internet. “In paragraph 26, Parliament called on the Commission to examine the possible environmental and public health implications of the HAARP programme for Arctic Europe and to report back to Parliament with its findings. Five years later, I am not aware of the existence of any such report. Even setting up a group just to investigate from the outside and publish reports, even if whitewashed, would raise public awareness of the weapon which of course would be negative for the United States who has a “special relationship” with the European Union. The other reason the EU Commission stated for the EU not looking at the environmental and public health implications of this weapon is because it’s a “military programme”. The EU Commission are telling the truth on that account, legally parliaments/congress are not allowed to examine what branches of their own government, that go under the umbrella called national security, are currently doing in confidence (and the public don’t get to choose who runs national security governance). The United States “Iran-Contra Affair”, which is listed in all encyclopaedias for at least the past 16 years, shows a clear incident of this which was somehow exposed so much that it could not be suppressed and court proceedings took place (unfortunately for the National Security Council and others involved). Normally confidential documents are declassified decades later when all participants are dead, which means no one can be charged and brought to court, unlike what happened with the “Iran-Contra Affair” when it was exposed, and by the time it’s declassified nobody cares (”that was in the old corrupt days”). It’s defiantly worth getting out the old dusty encyclopaedia, even for an overview. “President Chavez said the US was “playing God” by testing devices capable of creating eco-type catastrophes, the Spanish newspaper ABC quoted him as saying. The U.S. Southern Command were all set to travel to Haiti for a natural disaster scenario when a natural disaster hit. Odds greater than a psychopathic husband getting life insurance on his wife and right after it’s approved she dies in an accident. The general public, who don’t know of the very existence of HAARP, such a connection would not occur. For anyone who knows and cares to check, the Geophysical Institute of the University of Alaska has a HAARP monitoring system which shows when electric currents are in the ionosphere and at what levels. The HAARP Induction Monitor shows another “just happened to be” connection. It shows at 4pm UTC (which is the same time as London) on Sunday January 10th the electrical currents in the ionosphere jumped a massive amount, remained throughout Monday at this high level, continued on Tuesday at the same high level for 15 hours and ceded just less than seven hours before the earthquake was unleashed upon the surface of Haiti’s heavily populated capital. Certainly that would confirm Venezuela’s government information that the earthquake followed a U.S. HAARP test. Haiti, located in North America, is a member state of the Caribbean Community and Common Market (CARICOM) which has U.S. Caribbean territory Puerto Rico as a participant. The United States have no qualms of entering poor Haiti’s jurisdiction, it’s not the first time the United States military have been there. In 1915 the United States invaded Haiti and began a military occupation. The occupation was resented by the Haitians and it was not until 19 years later (1934) that the last U.S. marines left, lets hope it’s sooner this time around and not another Afghanistan or should I say another Haiti. Okay, now we know that the U.N. and globalists worldwide have depended on HAARP to create climate change and severely affect the earth’s magnetic field. What do these mad scientists plan to happen on or right after 2030? Are we being set up for a global catastrophe? Do we truly understand the power that is harnessed in HAARP? I believe that we have only seen the “Tip of the iceberg” (pun intended) of the capabilities of HAARP. If the U.S. and other nations who will not comply with the U.N. and implement the regulations which the U.N. is demanding – what is the fate of the earth when the powers that be give the order to unleash the full power of HAARP upon the earth? The reader must understand that most of the people on the earth believe that mankind is responsible for these dramatic changes in weather and the earth’s magnetic field; and that HAARP is completely harmless and is just for “studying” the ionosphere. Brethren, I hope that this article has convinced you that HAARP is a weapon and is being used to create Climate change and now even the coming “flip” of the magnetic poles of the earth. HAARP can create weather, earthquakes, and they are inadvertently (or maybe purposely) causing holes in our ionosphere. The People of Earth have been duped and the media once again is a vehicle by which misinformation is disseminated to the public. Again, PLEASE print out this article. The information which I have supplied may be scrubbed from the Internet at any time. 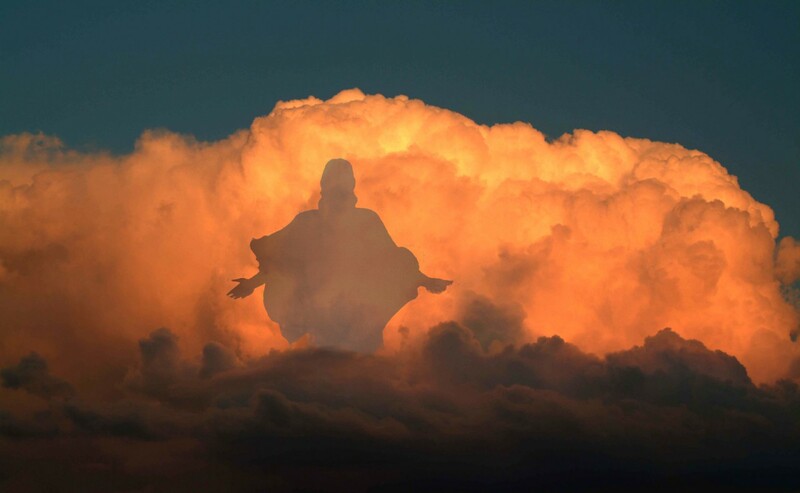 Brethren, once again I remind the reader that God is in Full Control. He allowed HAARP and even CERN to be developed. He knew about these dangerous systems before the foundations of the earth were laid. The natural man (unsaved) is quite ignorant. They have no understanding that God created the heavens and the earth; and He created them perfectly. If we were any closer to the sun, we would burn; any further – we would freeze. Our Creator God makes no mistakes. Pray for the unsaved everywhere – in our government and in the U.N. Remember that the most important thing to God is saved souls!